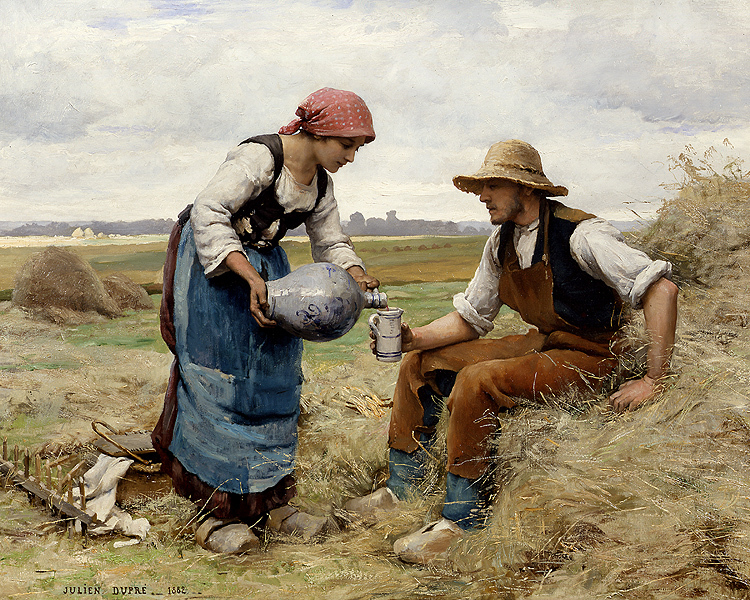 REHS GALLERIES, INC. is preparing a catalogue raisonné on the French Realist artist Julien Dupré (1851 - 1910). In connection with the preparation of the catalogue the gallery is conducting a search for sources, written documentation, photographs and any other pertinent information relating to the art and life of Dupré. 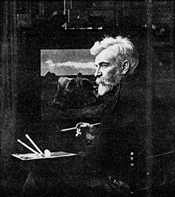 Till now, very little has been compiled about the life of this important Realist artist who was described in an article in the Magazine of Art (1891) as: "...one of the most rising artists of the French School". 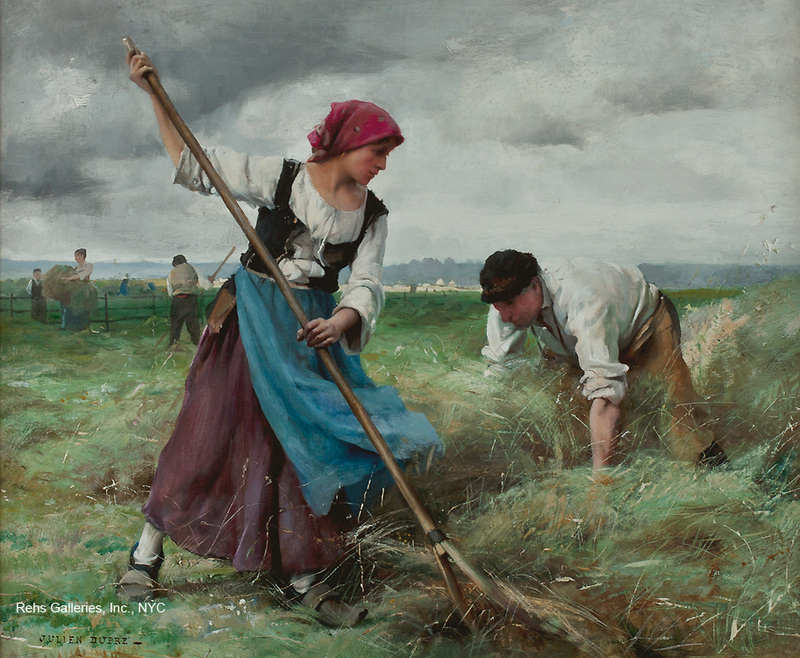 Dupré exhibited works at every Salon exhibition from 1876 until his death in 1910 and earned critical acclaim for his depictions of peasant life. He was awarded medals at several Salon Exhibitions and received a Gold Medal at the Exposition Universelle in 1889 for his pictorial representations of the life of the farm worker. Dupré was very successful during his lifetime both in Europe and the United States. Wealthy American patrons traveled to Paris to acquire his works and they became part of the great collections of the 19th century. Many of these collections, in turn, would become the cornerstones of our great museums. His painting Au pâturage (exhibited at the Paris Salon in 1882) is now in the collection of the Washington University Gallery of Art, St. Louis, Mo. and Milking Time, a monumental work, is in the collection of The Fine Arts Museums of San Francisco (a gift of M.H. de Young). Other important works by the artist can be found in the collections of the St. Louis Art Museum; Worcester Art Museum; Joslyn Art Museum; Museum of Fine Arts, Boston; and The Reading Public Museum and Art Gallery to name a few.